December 6, 1704, Georg Friedrich Handel and his friend composer Johann Mattheson got into a duel which ended when Mattheson's sword broke on the button of Handel's coat. Can You Guess what would cause these men to take up their swords and try to kill one another? 1806 - Louis-Gilbert DuPrez, French opera composer, was born. 1846 - Premiere of Berlioz's The Damnation of Faust at Paris Opera, the composer conducting, in Paris. 1896 - Birth of American librettist and lyricist Ira Gershwin. 1968 - James Taylor's self-titled album was released in Britain. 1997 - Debut of Aaron Jay Kernis' Ecstatic Meditations at The Plymouth Music Series, Philip Brunelle, conducted in Minneapolis, MN. 1998 - Premiere of Libby Larsen's String Symphony. Minnesota Orchestra, Eiji Oue conducting in Minneapolis. Tchaikovsky's ballet The Nutcracker had its first performance December 6, 1892, in St. Petersburg. The success of Tchaikovsky's ballet Swan Lake (1877), led to his being offered the opportunity to write a ballet for E.T.A. 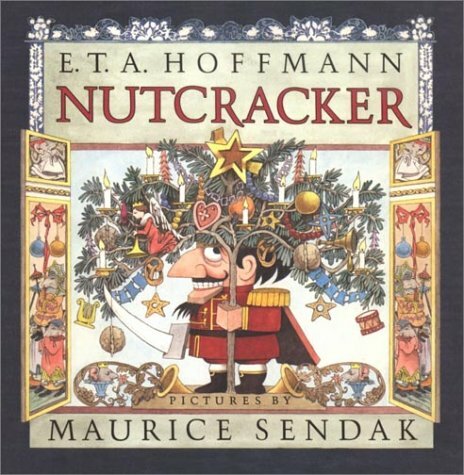 Hoffman's story The Nutcracker and the Mouse-King in 1890. He knew the story, but turned it down as unsuitable for ballet. Presented a version allegedly re-written by master choreographer, Marius Petipa (but mostly written by his assistant, Lev Ivanov) Tchaikovsky reluctantly agreed. By March, 1891 Tchaikovsky was working on Act 1's Waltz of the Snowflakes, was becoming more reconciled to the project. In June Tchaikovsky ordered a celesta, (an instrument recently invented by Victor Mustel) for the equivalent of $240.00. Tchaikovsky wanted to be the first to use the instrument, which consists of tune-metal plates played from a keyboard. He was afraid, "Rimsky-Korsakov or Glazounov will smell it out an take advantage of its unusual effects before me." He wanted the celesta for the Dance of the Sugar Plum Fairy. By July, Tchaikovsky had sketched out the entire ballet, but thought it was inferior to The Sleeping Beauty. Orchestration began in February, 1892. He conducted the premiere of the suite of themes from the ballet March 19. It was such a success that 5 of the 6 sections of the suite had to be repeated for the audience. December 5, 1892, after two months of preparation, the dress rehearsal of The Nutcracker was held at the Maryinsky Theatre. Alexander III attended and summoned Tchaikovsky to the imperial box for compliments. Tschaikovsky wrote, "The staging . . . is superb, and in the ballet even too magnificent - the eye gets tired of so much gorgeousness." The ballet opened to only a polite reception by critics. Based on the story The Nutcracker and the Mouse King, by E.T.A. Hoffman, it is the story of a young girl who dreams of a Nutcracker Prince and a fierce battle against a 7-headed Mouse King. It is Christmas Eve at the Stahlbaum house. The Stahlbaums are hosting a Christmas party, and welcome their family and friends. The children, Clara and Fritz, play and dance as they welcome their friends too. Finally, Godfather Drosselmeyer arrives. He is a skilled clock and toy maker and always full of surprises. Drosselmeyer draws everyone�s attention as he presents two life-size dolls. They are the delight of the party, each takes a turn dancing. Drosselmeyer presents his gifts to Clara and Fritz. His gift to Fritz is nice, but he gives Clara a beautiful Nutcracker that becomes the hit of the party. Fritz becomes jealous and, snatches the nutcracker from Clara and breaks it. Clara is heartbroken. Drosselmeyer quickly repairs the Nutcracker with a handkerchief he magically draws from the air. It grows late, the guests leave and the Stahlbaums retire for the evening. Clara, worried about her Nutcracker, sneaks back to the tree to check on him, falling asleep with him in her arms. As the clock strikes midnight strange things begin to happen. Clara shrinks as her beautiful Christmas tree grows tall above her. The toys around the tree come to life while the room fills with an army of mice, lead by the fierce Mouse King. The Nutcracker wakes and leads his army of toy soldiers into battle with the mice. The Mouse King corners the Nutcracker and battles him one-on-one. The Nutcracker seems to be no match for the Mouse King. The Nutcracker and his army are captured by the mice and their King. Clara makes a final daring charge throwing her slipper at the Mouse King, hitting him on the head. The Mouse King drops to the floor and the mice run away, carrying off his lifeless body. The Nutcracker turns into a Prince and takes Clara on a journey to the Land of Snow, an enchanted forest where they are met by dancing snowflakes. Then the Prince escorts Clara to the Land of Sweets where they are greeted by the Sugar Plum Fairy. The Prince tells her about their daring battle with the army of mice and she rewards them with a celebration of dances: The Spanish Dance, The Arabian Dance, The Russian Dance, The Chinese Dance, The Mirliton Dance, and The Waltz of Flowers .As a finale, the Sugar Plum Fairy and the Cavalier dance a beautiful Pas De Deux. 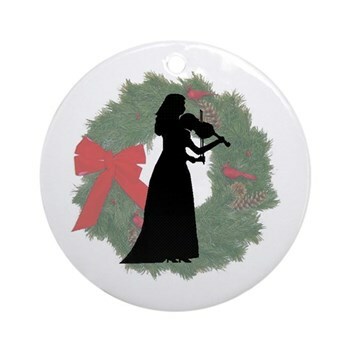 Violinist Christmas Ornaments Make Great Gifts. There's Still Time to Order Sheet Music if You Hurry! 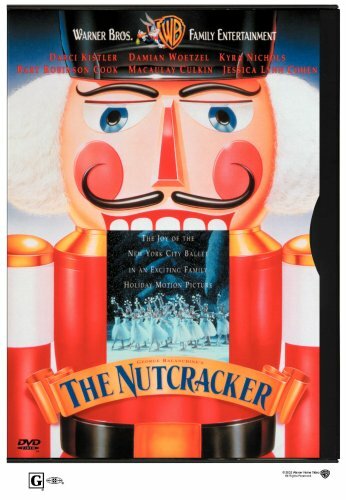 A VERY GOOD Collection of Excerpts from Tchaikovsky's Nutcracker at an Affordable Price! To Be Accompanied by the Book! Handel and his friend were arguing over the playing of the harpsichord in a performance of the opera Cleopatra. The two men remained friends afterwards. Electrifyingly Fun Violins Make Fabulous Fun!